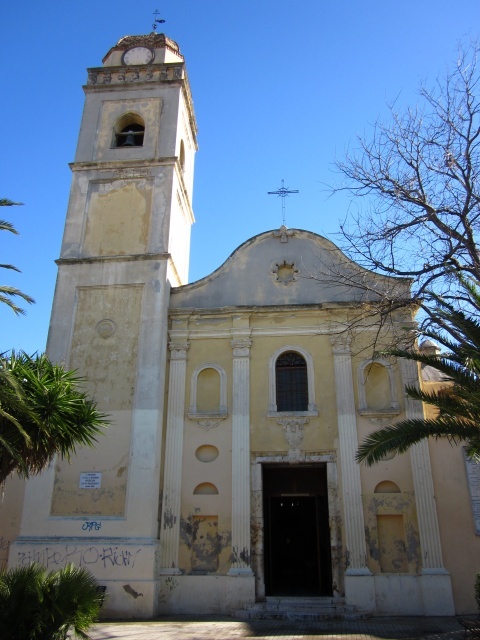 The original church ,dates back to the 16th century, was the only in the district ,until the fifties. The building had a Latin cross plan, consisting in a nave and a chapel for each side. They had been works of renovation and expansion between 1619 and 1652, and later,it was rebuilt several times. The current structure has stylistic elements of Catalan Gothic, Baroque and Classicism. The bell tower houses a bell from 1757 that has an inscription in Spanish. The interior consists of a single nave with a barrel vault, and on each side, there are four chapels. Under the nave, seats the crypt of the church.